Ramen and fried chicken. The sudden eruption of restaurants specializing in one or the other amounts to a culinary onslaught. 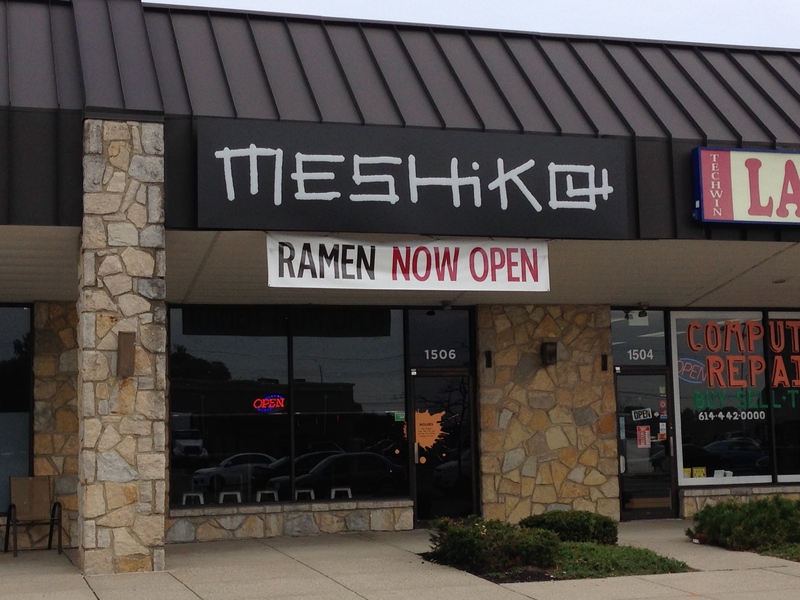 And so, it was inevitable – Meshikou debuts as a place that does both. 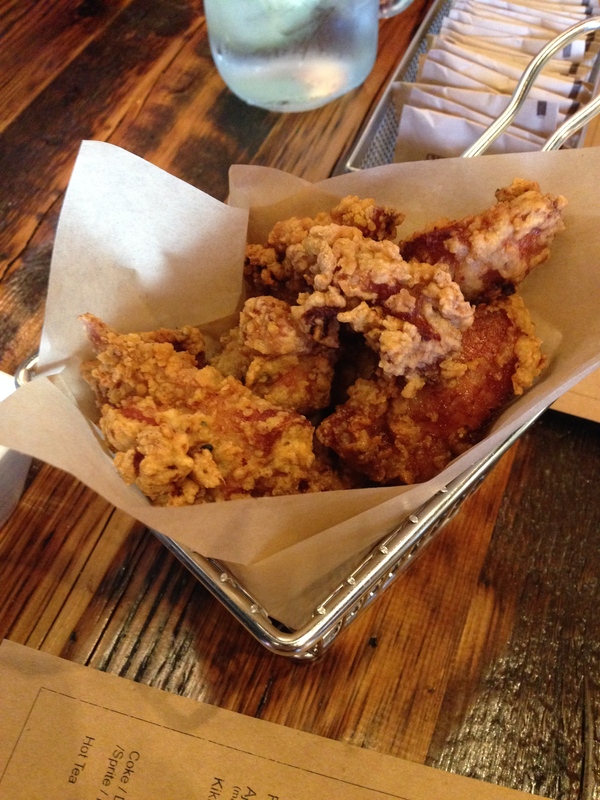 The karaage is good – crispy, with a thin, delicate crust, and exceptionally tender flesh – and more or less what you might expect from a Japanese take on fried chicken. Seasoning is mercifully restrained, the crust and flesh are as far from greasy as could be, and a basket is perfect for two to share. A sweet and spicy dipping sauce accompanies. As for the ramen – while strict purists may reasonably object to various elements of it, our slurping table of 5 found little to complain about and much to enjoy. The ‘shoyu tonkotsu ramen’, as the name suggests, is a mashup of two traditional styles, probably tasted as strongly of chicken stock as the pork broth that ‘tonkotsu’ promises, but nonetheless delivered on ramen’s (often lacking) key components of luxurious richness and deep broth flavor. The increasingly de-rigeur Sun Noodle ramen noodles proved that there’s good reason for their ubiquity and they were prepared to a pleasing toothsomeness. The chashu pork was solid, and the marinated soft boiled egg was absolutely perfect in flavor and texture. In short, it was a good bowl. It was also a relatively small bowl. When it came, I eyed it with skepticism. When I was finished, I realized that the size was ideal. Did we mention it was rich? 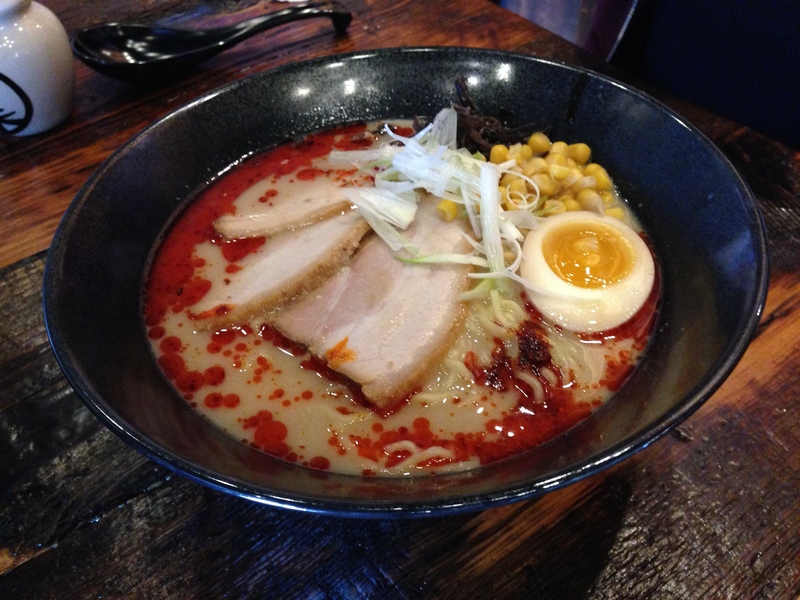 We also tried the spicy miso version, and while it was enjoyed, the shoyu tonkotsu won us over. Perhaps the least exciting element of the meal was the pork buns, which seemed composed of reasonably well prepared ingredients, but was marred by an excessively sweet sauce. There’s much left to try, including vegetable and pure chicken stock ramen options, as well as broth-less noodle dishes. 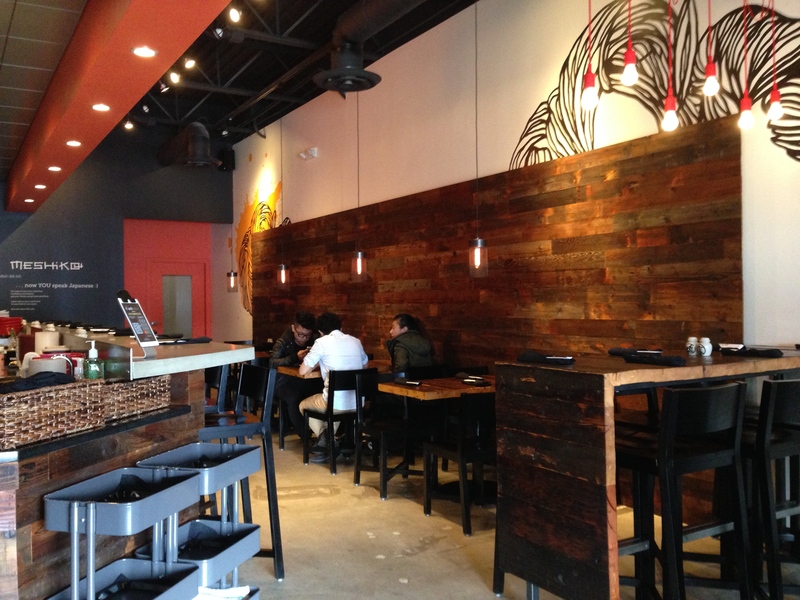 Service was pleasant and attentive, and the space was a pleasant distillation of the interiors of the coastal ramen meccas. This entry was posted in Japanese, ramen. Bookmark the permalink. The ramen was OK, but the price at $13 is high for Columbus. It is in the same ballpark as what they are in New York City. 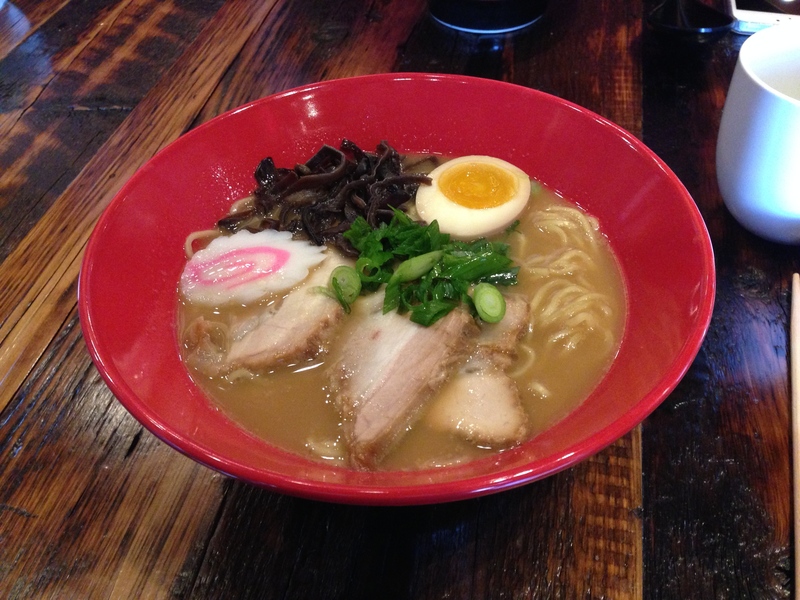 Thank you alt.eats.columbus for coming by and we’re thrilled that you enjoyed the ramen. Didnt know you stopped in until our friends pointed out the review online. Makes boiling, stirring, and watching the broth till 3am worth it ! Too bad they don’t do carry out, but I understand why. Will visit as often as I can. Are there any vegetarian options? the price of such a bowl of soup is absurd and you would only encounter that in new york city at a very very elegant restaurant. yes it was tasty no doubt but the music and its level were jarring but the decor was good. i visit restaurants for the food but the decor is always an added ambiance. sorry i can not agree the noise level and the tiny portion was enough to not visit or recommend to my friends. If its soup you want we have some brilliant soup places here.